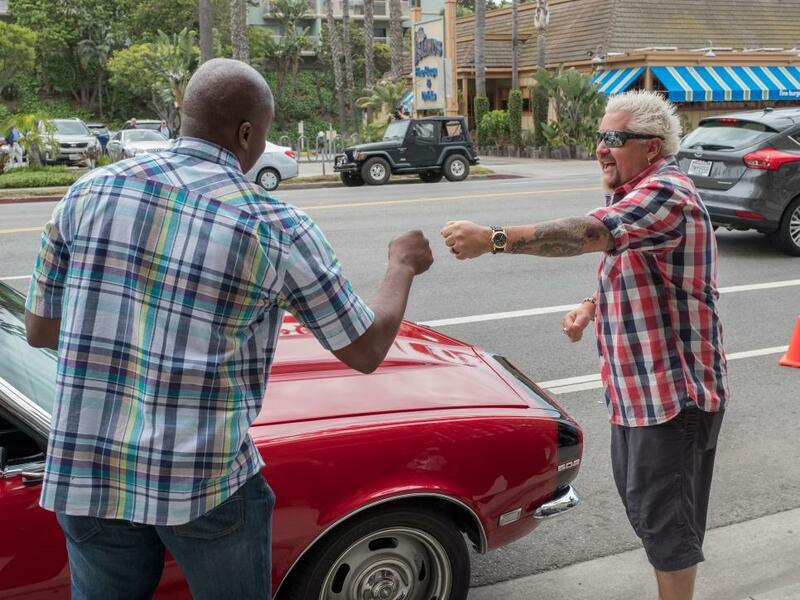 We've got all the behind-the-scenes photos and insider details of the prospects' journey with Guy Fieri at the helm. 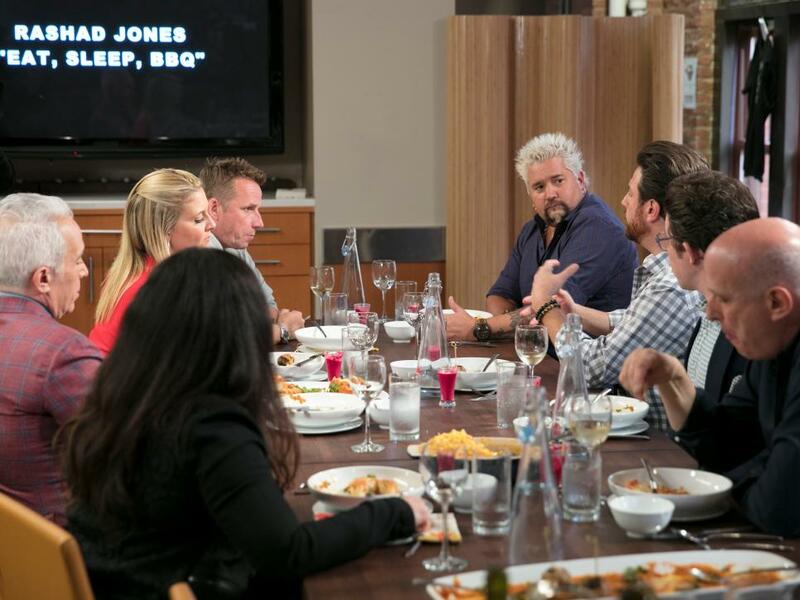 Guy doles out what's perhaps his biggest challenge of the project: film a sizzle for top-notch chefs in New York City. Who, exactly are these top-notch chefs? That's for the projects to find out later. 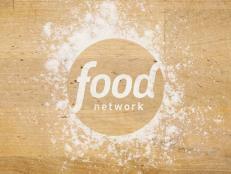 Welcome, Chopped judges, Food Network Star winner Justin Warner and executive producer Mark Dissin. The group comes together to watch the pilots the prospects have filmed, and ultimately their feedback will go on to influence Guy's decision about who advances. This week holds extra meaning for Christian. It's his first with a new concept — Out There Eats — which he chose to match his personality, he explained. 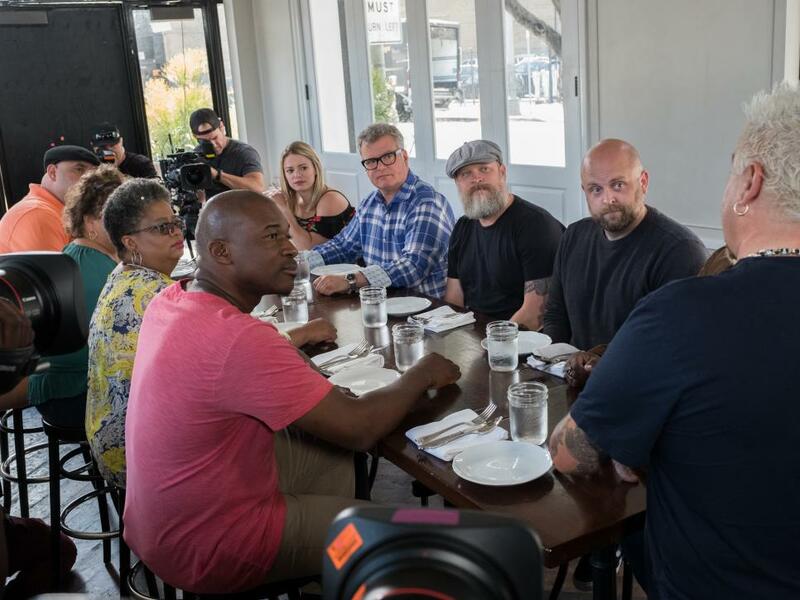 He heads to a comfort-food spot in New York to showcase their fried chicken, and later on in Food Network Kitchen, he presents his own comfort food — biscuits and gravy — for the chefs. For Rashad, the filming process doesn't go well — at first. 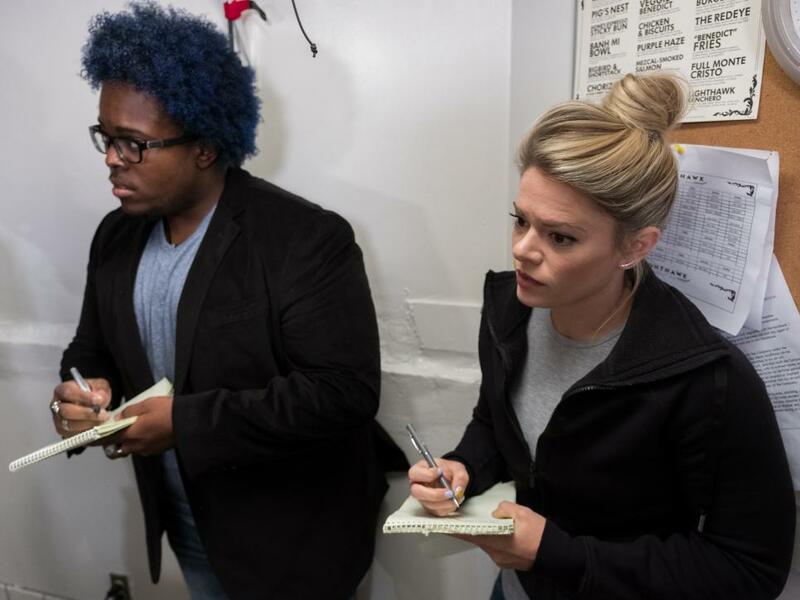 After a few takes in which he jumbles his words at the NYC barbecue hot spot he visits, Rashad indeed manages to deliver the information clearly, concisely and with a warm smile, exactly like the crew has been asking for. 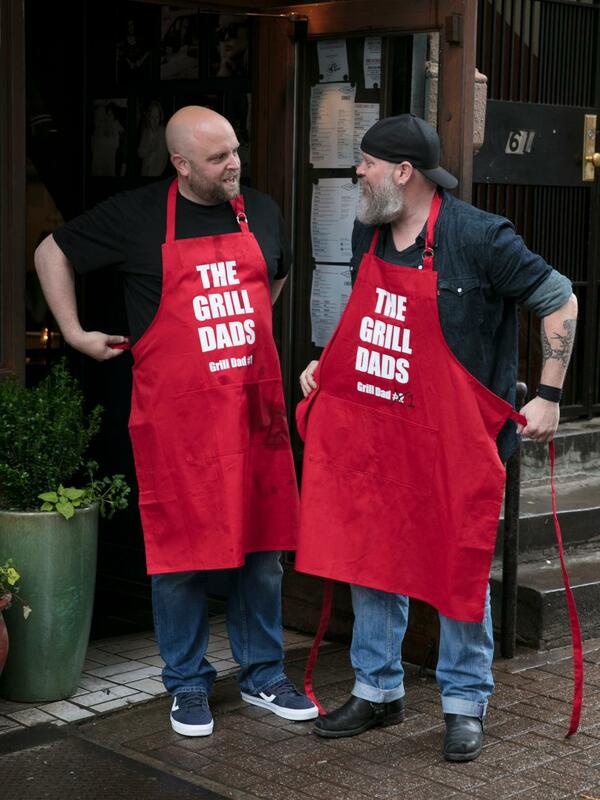 The Grill Dads are adamant about sticking to their humor-packed sizzle, even though the team on set advises against it. 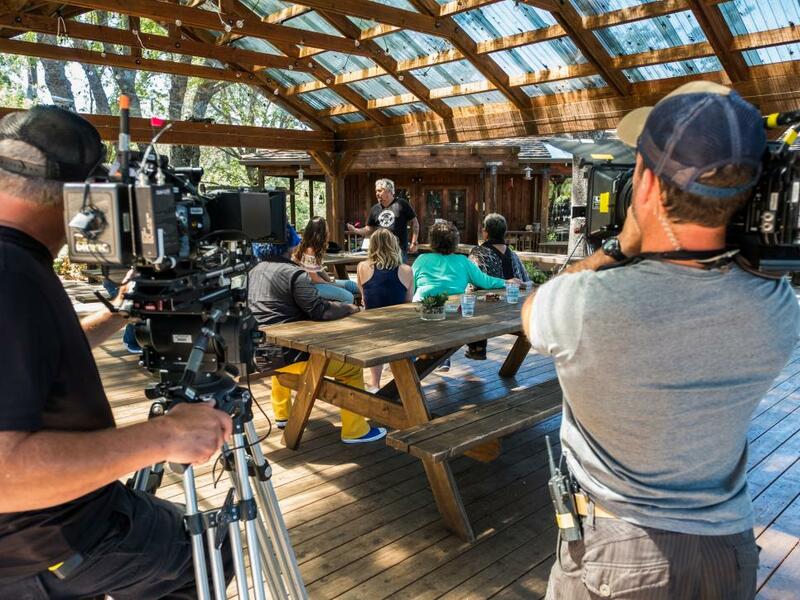 While most of their lines end up going over well with the chefs, Justin found it to be too rehearsed. Their food, too, is a hit, especially for Marc Murphy, who was impressed with their grilled haloumi presentation. 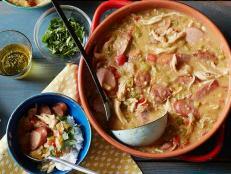 "Great name," Amanda Freitag says of Deli Hunter Zane. The group is wowed by his video, though when it comes to his food, the borscht falls shot. After all, Guy recommended that he add ingredients to boost its flavor, but he wasn't keen on doing that and stuck to his old-school recipe. 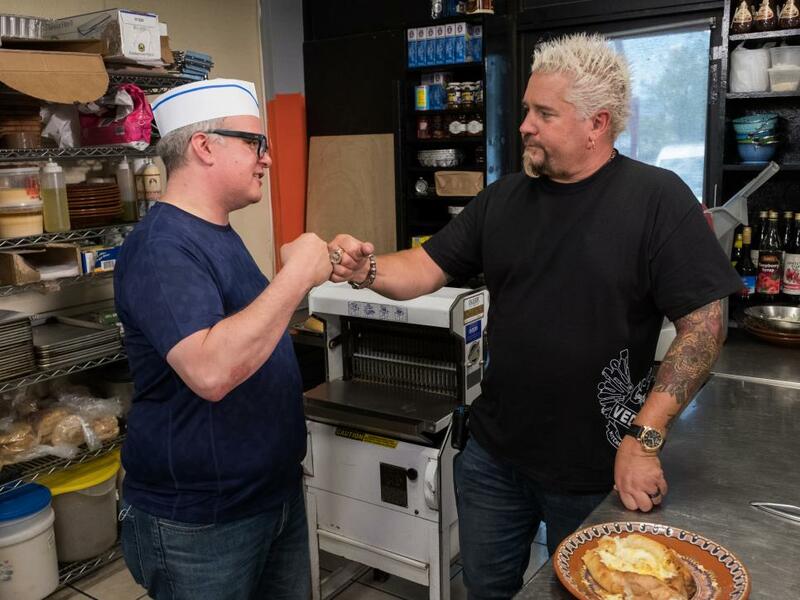 When Guy chats with a chef on DDD, he's able to not only introduce that chef to the audience but also explain the process of food prep and entertain viewers at the same time. He's asking the prospects to attempt to do the same thing this week. It's all about their ability to control the situation. Unfortunately for Christian, this week proved to be his last after Guy and his production team felt that his message "wasn't connecting," Guy explained. "I need to continue to figure out who Christian is," the prospect said following his gut-wrenching exit. 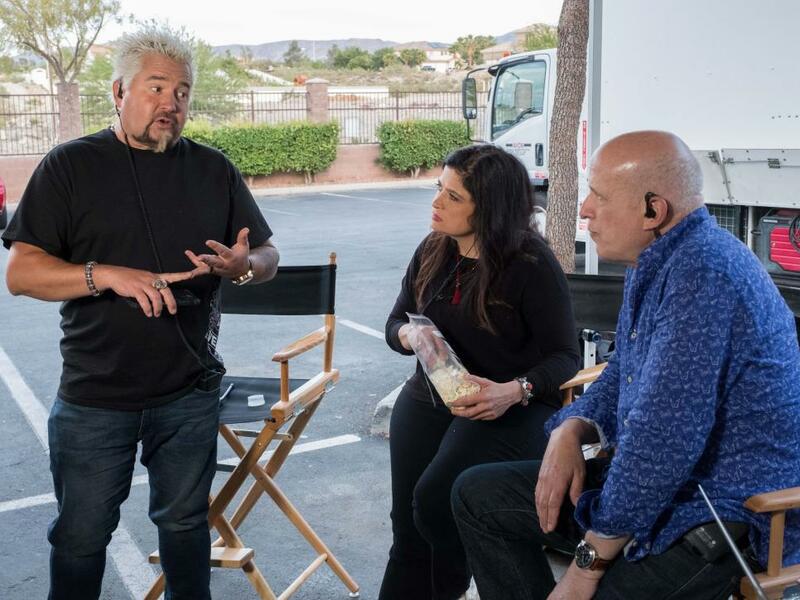 Both Alex Guarnaschelli and producer Mark Dissin were on hand as the prospects took what they learned at Guy Fieri's Las Vegas Kitchen + Bar and applied it at other area restaurants. 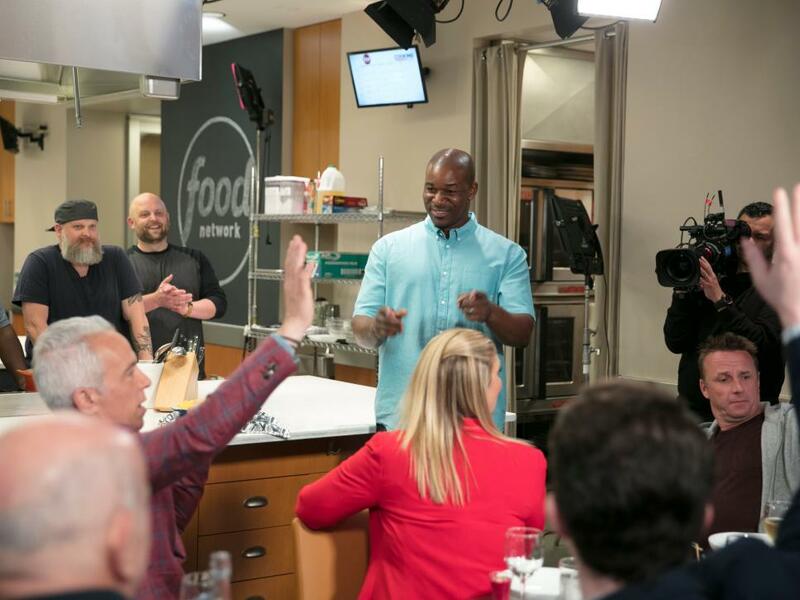 They watched in real time as Rashad struggled to showcase his personality and connect with the chef before him. 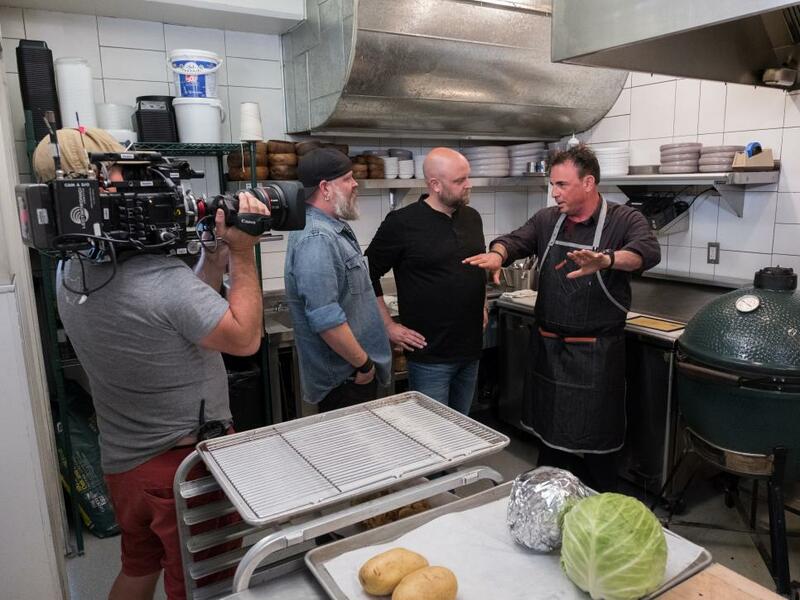 Though Zane's overly presentational form did little to impress Guy and the production team, he indeed wowed the group with his ability to interact with the chef. "Crushed it, man," Guy told Zane afterwards. 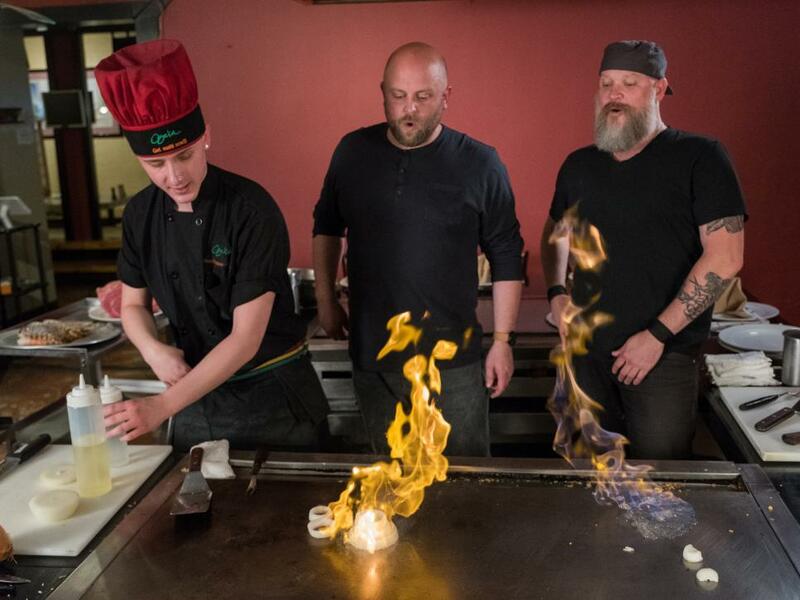 According to Guy and Mark, the Grill Dads should have been able to make connections between the teppanyaki grill at the restaurant visited and their own grilling POV, but they ultimately fell short in selling that idea. 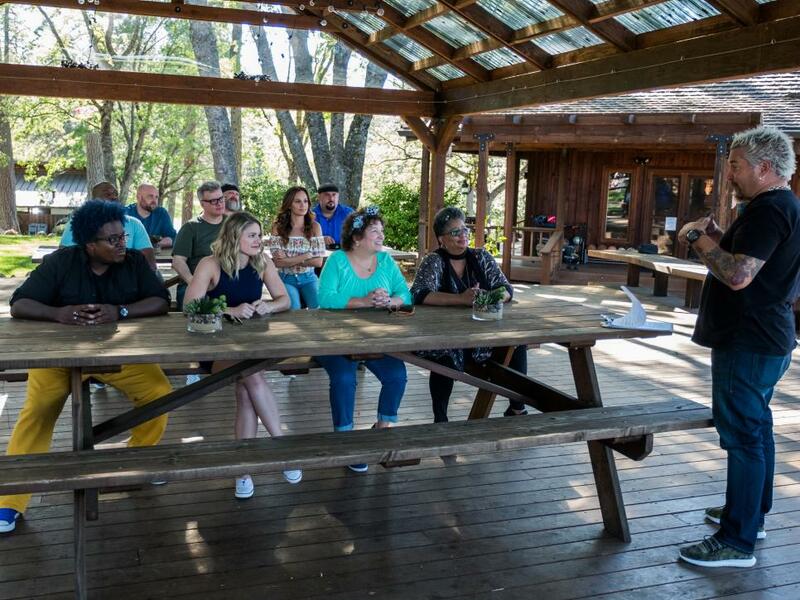 While Rashad survives this week's eliminations, Lindsay is sent home after she demonstrates her nervous laughter during otherwise quiet moments in her presentation at an area restaurant. Though she's emotional upon leaving, she's grateful for all it taught her. Guy invited the prospects into the kitchen with him at Nighthawk Breakfast Bar while he filmed a DDD segment with the restaurant's chef. Watching Guy closely, they noted his ability to interact with the chef, provide information and entertain all at once. As the prospects watched Guy's segment unfold, they jotted down every detail possible in an effort to recreate his successes for themselves. Sure enough, Guy did challenge the prospects to deliver their own stand-up openings while outside of Nighthawk. While Zane appeared his usual nervous self on camera, others like Rashad found their pace naturally. 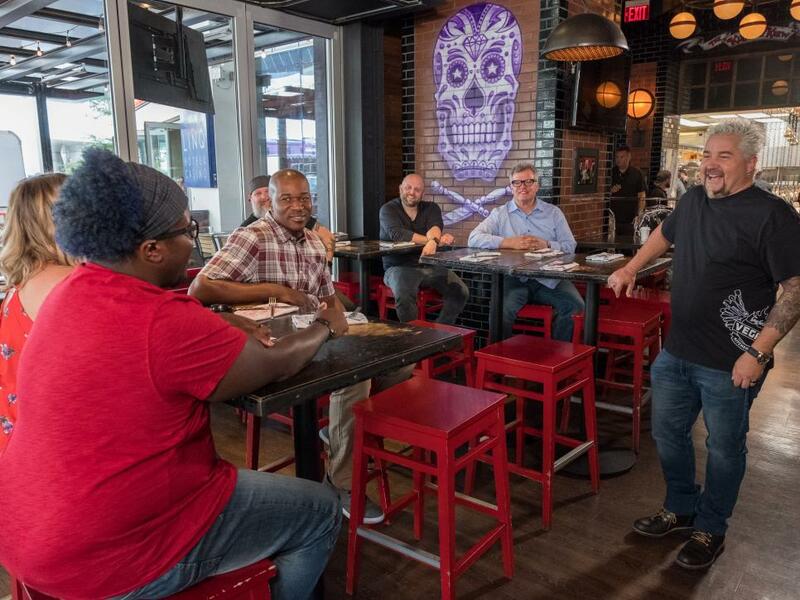 After the hands-on training in the morning, Guy sent the prospects to local restaurants where they could hone the art of the intro some more. The Grill Dads, yet again, delivered an entertaining piece, and they're deemed safe from elimination this week. Lindsay too survives another week, after a particularly strong intro that highlights her Crazy Creations concept. Despite Vinny's fun-loving personality, he couldn't find a way to be comfortable on camera, and ultimately that cost him the competition. After a three-week journey, he's sent home. 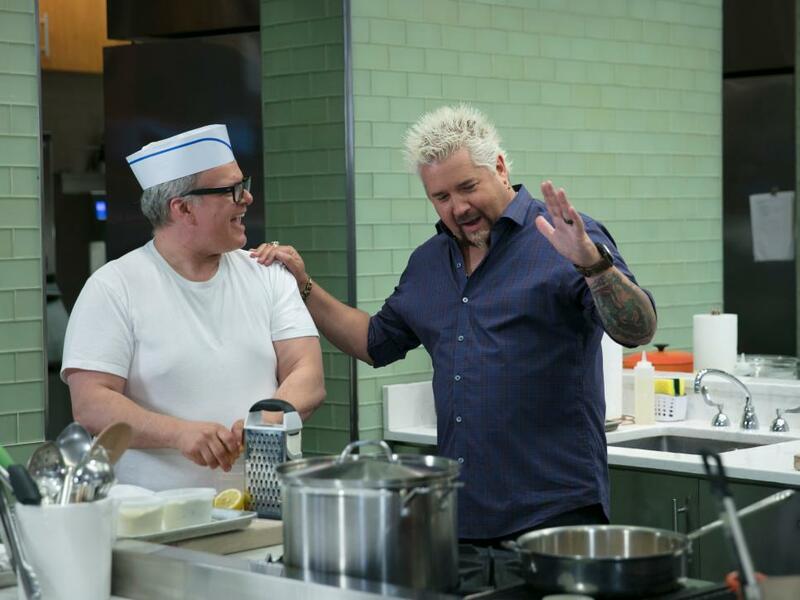 If you've ever watched even one Food Network show, you know (and most certainly love) the moment a chef takes a big bite of the food in front of them and reacts to it. That "beat" is what Guy wants to work on this week. 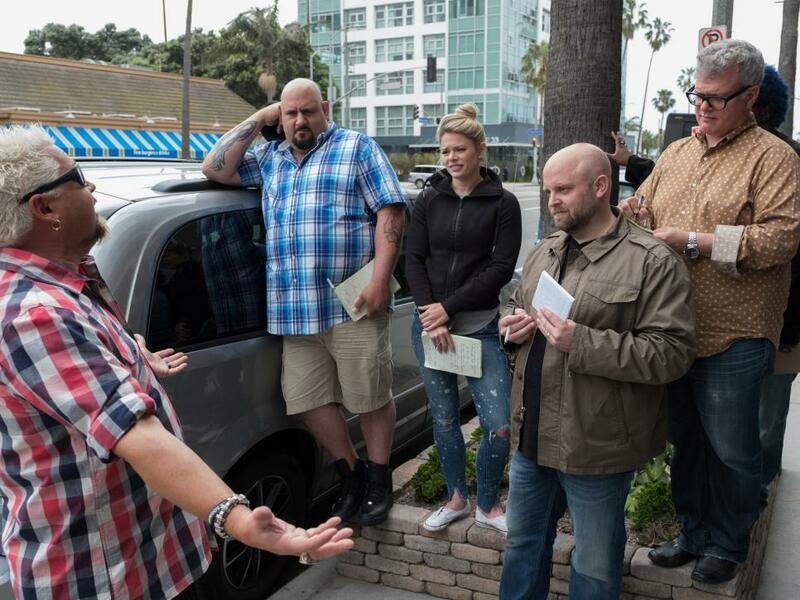 He takes the prospects to an L.A. hotspot and asks them to describe the various dishes before them. 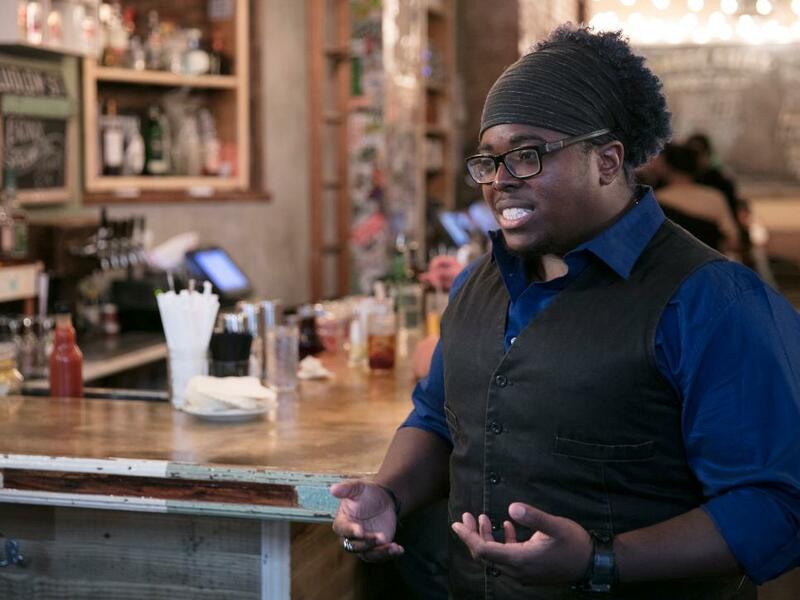 For Rashad, the bite is a learning process; while he delivers a notably weak description at first, come dessert, he's far more detailed and energetic. 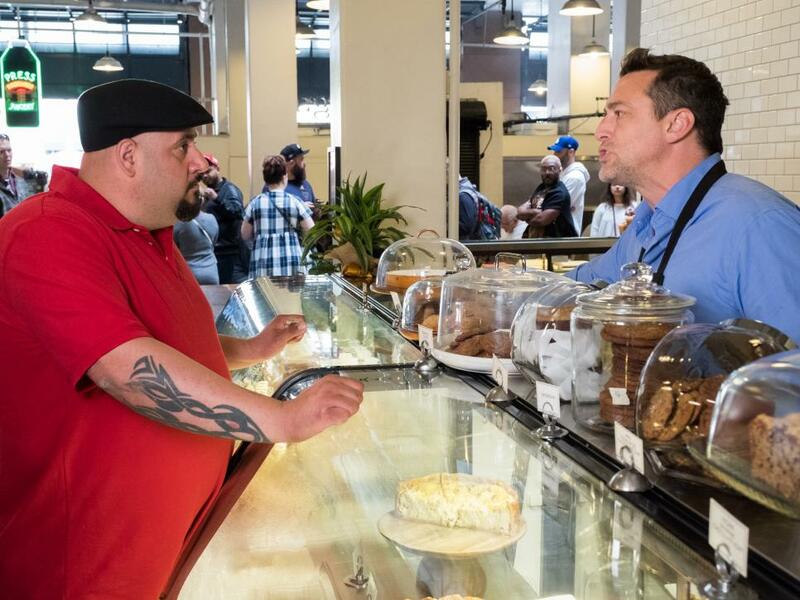 "You just changed the game," Guy told baker Vinny, who delivered an exceptionally strong presentation at Grand Central Market in Los Angeles. 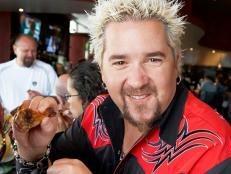 Not only did he appear comfortable on camera, but he also described the food well. 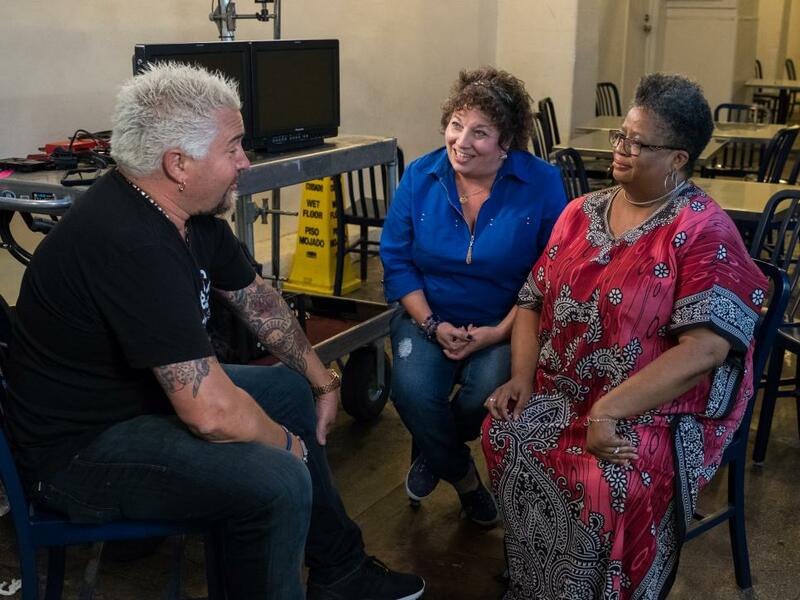 Despite their lovable personalities, Sharon and Sherri simply aren't meshing on camera the way the Grill Dads are. Ultimately, after back-to-back weeks of mediocre performances, the ladies are ultimately sent home. 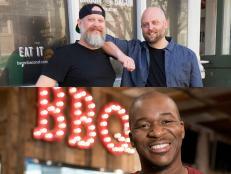 For the first time ever, Guy and his expert production team are set to mentor prospects — comprised of both individuals and partners competing together — through six weeks of on-the-job training in the hopes of finding the host of Food Network's next culinary road show. 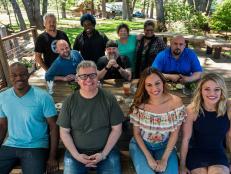 Guy kicked off the journey by bringing everyone to his home, not only to reflect on his own Food Network journey but also to introduce their first challenge. They were to head to a spot in the Sacrament area and film a brief piece about themselves and their would-be road show. For Zane, the self-described "deli hunter," the idea came easily. However, his nerves got the best of him. 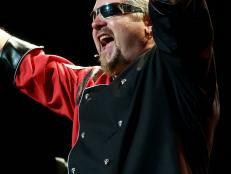 It took him a few takes to feel comfortable, but ultimately he battled nerves as the first week's demands unfolded, including when he returned to Guy's ranch to cook. Back at the ranch, Guy asked the prospects to work on their signature dishes and prove to him they have the culinary chops to sustain an audience. 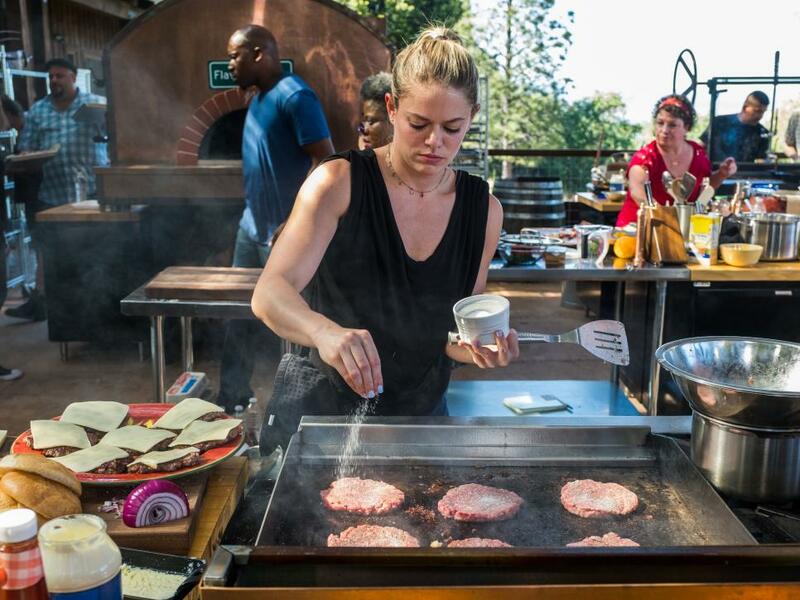 Lindsey was a strong contender, opting for a hearty burger with gooey mac and cheese, and her ease in talking about food impressed the production team. 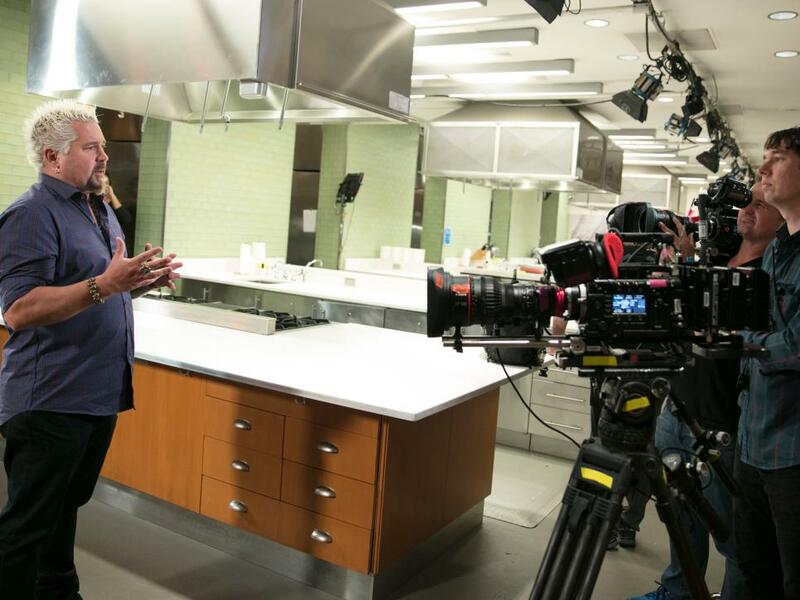 As the prospects strutted their stuff in the kitchen, a crew of producers and production executives, plus Iron Chef Alex Guarnaschelli, observed from afar. 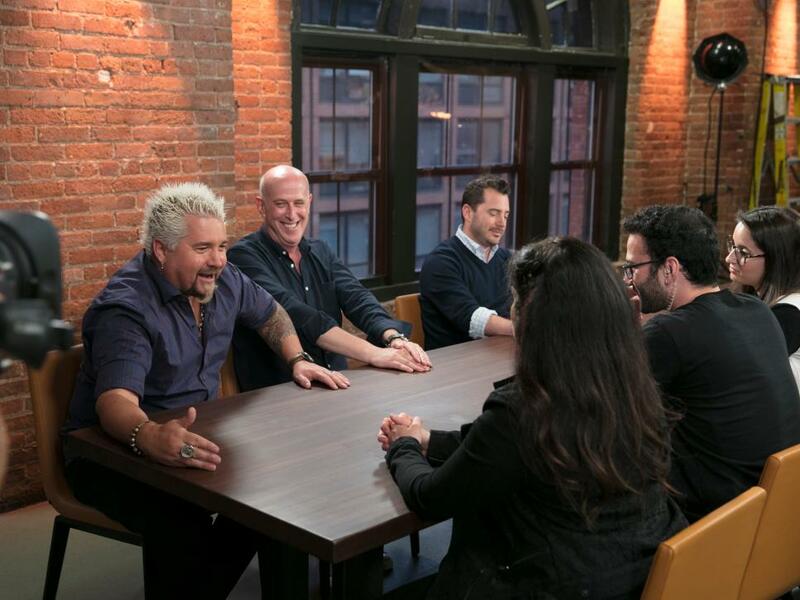 They offered initial impressions of competitors' on-camera personalities and their comfort around food. 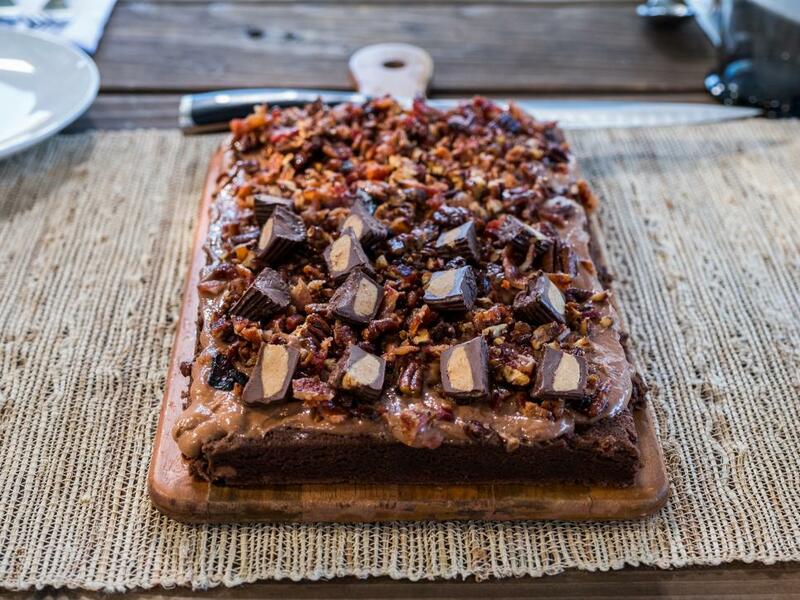 Laced with smoky fried bacon, Vinny's over-the-top-decadent brownie-cake combo showcased his baking expertise. Unfortunately for Dariany, her lack of substantial food knowledge got the better of her. Despite her focus on family-run eateries, she couldn't answer seemingly basic questions about the food she loves, and that was enough to send her home. Want More Guy's Big Project? 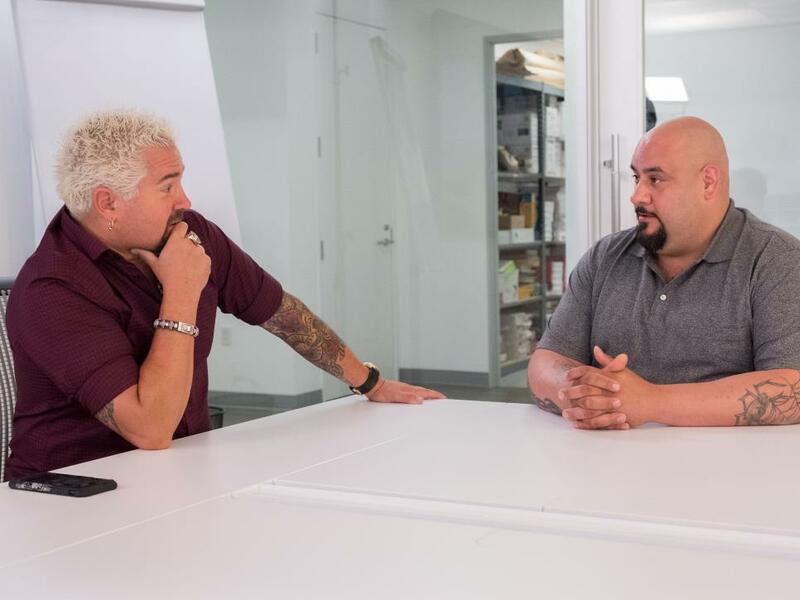 Head to Food Network's Guy's Big Project headquarters to learn more about the prospects and watch brand-new videos. 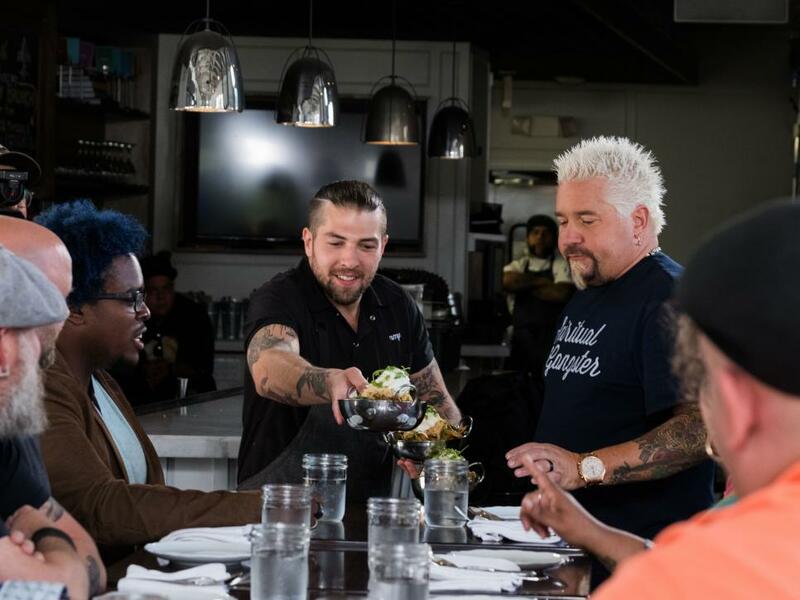 Contestants Mark Anderson, Zane Caplansky, Vincenzo "Vinny" Vaccaro and Rashad Jones take notes as Guy Fieri films a Diners, Drive-ins and Dives segment with chef Jeremy Fall, as seen on Guy's Big Project, Season 1.